The Pokémon that most reminds me of myself when I was a teenager (many, many years ago) is Shelgon, the Endurance Pokémon. It's somewhere between a cute little Bagon and a glorious, handsome Salamence. Shelgon is all closed up in his hard casing, with just his eyes peeking out. It is metamorphosing in there, I'm sure it smells great. It's got a stand back look in its eyes and a sarcastic dismissal perched on its tongue. Let's talk about what Shelgon's got going - if you have Shelgon hold Eviolite, it has the highest Defense base stat of any Dragon-type in the game. If you are going to visit the Village of Dragons for dragon battles this is something you should definitely keep in mind. Wait, is that a thing? Either way, a base Defense stat of 150 matches Registeel and is exceeded by only 1.23% of Pokémon. In general, how does Shelgon roll? Defense is the best base stat, even unmodified, at 100, Attack comes in next at 95. Special Attack at 60 and Special Defense at 50 are kind of meh, HP of 65, and down at the bottom is a Speed of 50. You can tell Shelgon is a grumpy teen because its Speed stat does not change from Bagon's when it evolves. A Careful nature will boost Special Defense while reducing Special Attack or an Impish nature will amp Defense at the expense of Special Attack. You will most likely want to distribute EVs across HP and Special Defense with a little sprinkle on Defense. 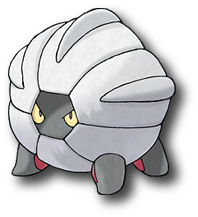 When thinking out your Shelgon keep in mind it is more of a Metapod than a Vibrava. If we imagine that you aren't going to evolve Shelgon, what moves would be good for it? Dragon Claw is good for STAB and leverages the strong Attack stat. Crunch and Zen Headbutt are good additional physical fill ins depending on whether you want to go Dark or Psychic-type. Flamethrower or Fire Blast will give you an edge on Ice-types. If you have a Shelgon with Rock Head ability then you can use Double-Edge with no recoil damage. Unfortunately, even though Shelgon has a high Defense stat, it doesn't learn many defensive moves. You can always round things out with a Protect. The Bagon family line is one of those with shifting abilities through the evolutions. Bagon can have Rock Head or Sheer Force. Shelgon can have Rock Head or Overcoat (takes no damage from weather effects). Salamence sheds those completely for Intimidate and Moxie. If you can get a Dream World Shelgon you may want to see if Overcoat benefits you more than Rock Head. I definitely feel that Eviolite is the right hold item for Shelgon but, if you want to disagree, go for a Yache berry. If you are keeping track of the Trading Card Game, then you know that the Dragon Vault is rumored to be released shortly before October 13 regionals. There is a Shelgon card in there that can do either 30 or 50 base damage, which will knock out some other Dragon-types. I will be attending the Fall Regionals in Fort Wayne, Indiana this year with several other folks from Pokémon Podcast. Don't be like Shelgon and hide yourself away - if you see us come on over and say hello!